Blackburn Rovers are back at Ewood Park this weekend as they look for back to back wins in the league this time against Rotherham United. Rovers come into the match fresh off the back of a last minute winner against Queens Park Rangers. Where as the visitors Rotherham come in the match also off the back of a win, but for them they beat Swansea City. In this video I speak with Joy Calladine a HUGE Rotherham United supporter who talks up The Miller’s chances against Rovers, their prospects for the season and more. We also look at a few players who have played for both Rovers and Rotherham United and we get a prediction from the Cat. 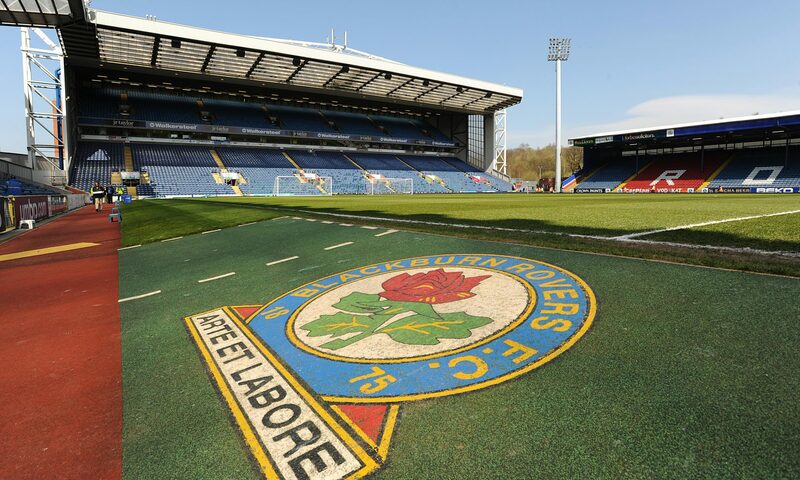 Blackburn Rovers are back at Ewood Park this weekend as they look to bag a win against red hot Queens Park Rangers. Rovers come into the match fresh off the back of a hard earned point against West Bromwich Albion in game that saw us lose David Raya that resulted in us playing the last 20 minutes with Richie Smallwood in goal. As for QPR they are the in form team in the league, they come into this match on the back of a win against Aston Villa. In this video I speak with Julie Hampton a HUGE Queens Park Rangers supporter who talks up QPR’s chances against Rovers, their prospects for the season and more. We also look at a few players who have played for both Rovers and Queens Park Rangers and we get a prediction from the Cat. Blackburn Rovers head back on the road once again this weekend to take on high flyers West Bromwich Albion in the 2018-19 Sky Bet Championship. Rovers come into the match on the back of a away defeat to Swansea City. Meanwhile West Brom also come into the match on the back of a heavy home defeat to Derby County after losing on Wednesday night 1-4. Rovers may have to freshen up the squad for this match, and may look to replace Lenihan in defense after he picked up a knock last time out. Will be able to grab something special this weekend at the Hawthornes or will be a happier day for the hosts? In this video we also look at a few players who have played for both Rovers and West Brom and we get a terrible prediction from the Cat. More Blackburn Rovers action to look forward to as this weekend we keep it local as we take on North West rivals Bolton Wanderers at their place. Bolton will come into this match on the back of a 2-0 defeat to Stoke City Tuesday night, whereas their visitors Rovers also come into this match on the back of a 2-0 defeat, however Blackburn lost at home to Sheffield United. Hoping to see a much improved performance by Rovers on Saturday evening, as we need to end this spell on a high, as we will head into a mini break with international football rearing its ugly head. No fan input on this one, moron let me down. If you are a Wanderers fan and would be interested in helping out later on in the season drop me a comment. In this video we look ahead to the match, cheeky prediction from the cat and more. Blackburn Rovers are back at Ewood Park for some midweek Championship action when the take on Sheffield United. Rovers come into this match fresh off the back of a 2-2 draw with Nottingham Forest. Sheffield United come into this match after a huge away win against Millwall winning 3-2 on the road. Sheffield United currently sit 4th in the table and a win on Wednesday could see them go top of the league. In this video I spoke with Ben Meakin from the Up the Blades podcast about Sheffield United’s chances against Rovers, their prospects for the season and more. Blackburn Rovers return to league action to take on Nottingham Forest. Rovers come into the match on the back of league cup defeat to Bournemouth. Nottingham Forest will come into the match after they take on Stoke City in the league cup. However currently their last league math was a victory against Rotherham United last weekend. Ben Brereton, I expect will be unable to play this weekend as he is still technically owned by Nottingham Forest. Mowbray will hope to have Charlie Mulgrew back from injury, however he will be without the services of Derrick Williams as he was sent off in the match against Bournemouth in the league cup. In this video I spoke with Rich Ferraro of the Forest Ramble Podcast. He gave me his thoughts on Brereton and his expectations for Forest this season. Next up for Blackburn Rovers is another tricky away match when they head to the Bet365 Stadium to take on Stoke City. Blackburn come into this match off the back of a 0-0 draw against Derby County, whereas Stoke City come into this match fresh off the back of a victory against Swansea City. Rovers will hope to have Captain Fantastic back in the lineup after Charlie has missed the midweek match against Derby. In this video we count down to kick off with a look at the current form books of both Stoke and Rovers. We also have a chat with David Cowlishaw from the Wizards of Drivel podcast. Finally we get a cheeky, if not horrendous prediction from Cass the Cat. No rest for Blackburn Rovers as we are back on the road for some midweek Championship action when we head to Pride Park to take on Derby County. Rovers come into the match fresh off the back of a draw against Aston Villa at Ewood Park on the weekend. Derby County on the other hand come into this match on the back of a defeat to Rotherham United on the road, which saw both Tom Lawrence and manager Frank Lampard sent off. In this video I speak with Derby County supporter and Steve Bloomer’s Washing Podcast host Chris Parsons about the buildup to the match. We also have some team stats and a cheeky prediction from the Cat.